The Old South Firearms Custom Civil War belt was designed to match quality, historical looks and wearability in a way never seen before. 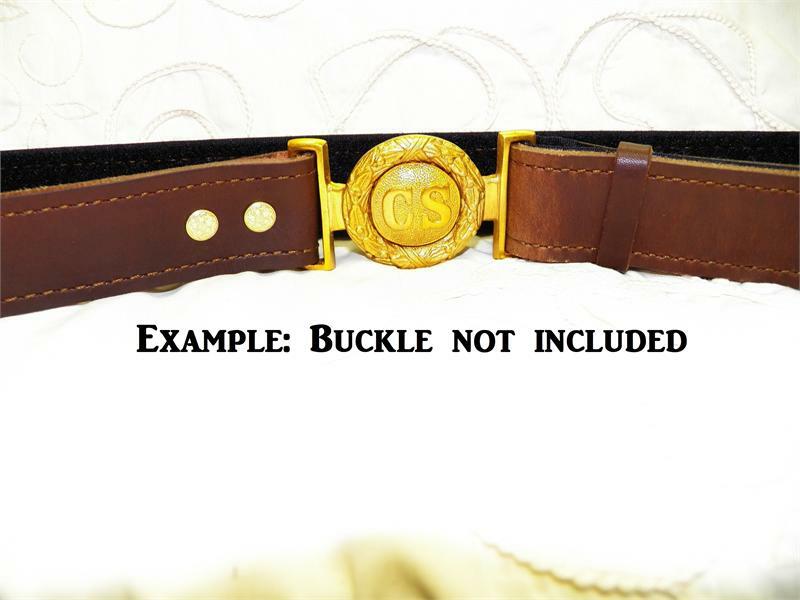 Our goal was to create an adjustable, heavy duty belt that replicated the look of original Civil War era uniform belts. Wheras original belts had to be riveted in place, which didn't allow much room for you to shrink or grow, ours are based on modern military and police duty belts around the world. The interior of the belt is lined with velcro which allows the belt to be adjusted from 26 inches up to 48 inches in seconds without any riveting, hammering or tools. 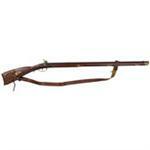 And since they function like modern duty belts, these replicas can handle all the weight of any pouches, swords or holsters you may need to slide onto one. The belt works with all period-style slide-through (two piece) buckles, most "spoon and plate" buckles, and will even work with many more modern pistol belt buckles, such as those used in World War II, and even many police buckles used around the world today. Our heavy strap-leather belt includes "Chicago screws" so the buckle can be removed or replaced if you need to use the belt for more than one era or side. Length: 54 inches overall. Can be adjusted from 36 inches to 48 inches. This 2 1/2" wide "large" 40 to 44 inch sized cartridge belt has a heavy cast nickel plated brass clipped corner "California" style buckle and 12 -.44/.45 cal. cartridge loops. See "More Info" for details. Western style, BLACK quick draw holster made to fit most Colt SSA, Colt clones and Ruger Vaquero revolvers with up to 5 1/2" barrels. This holster works well with our black powser Sheriff models as well. Triple K Holster for the Buffalo & Bison. Custom fit for black powder Bison and Buffalo revolvers. 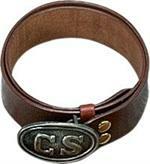 Made of top grain cowhide natural tanned. 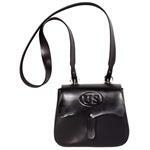 Features durable tear resistant stitching. Snap for revolver retainer and easy removal from your belt. 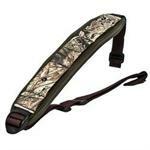 This top-grain holster with open-ended design, features a buckle that makes the holster easily removable. 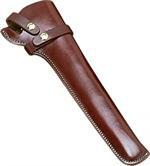 Holsters have both a leather hammer thong and a leather leg tie. This 2 1/2" wide 34 to 38 inch sized black cartridge belt has a heavy cast nickel plated brass clipped corner "California" style buckle and 12 -.44/.45 cal. cartridge loops. Shown in dark gray to highlight the details. This 2 1/2" wide 34 to 38 inch sized cartridge belt has a heavy cast nickel plated brass clipped corner "California" style buckle and 12 -.44/.45 cal. cartridge loops. See "More Info" for details. 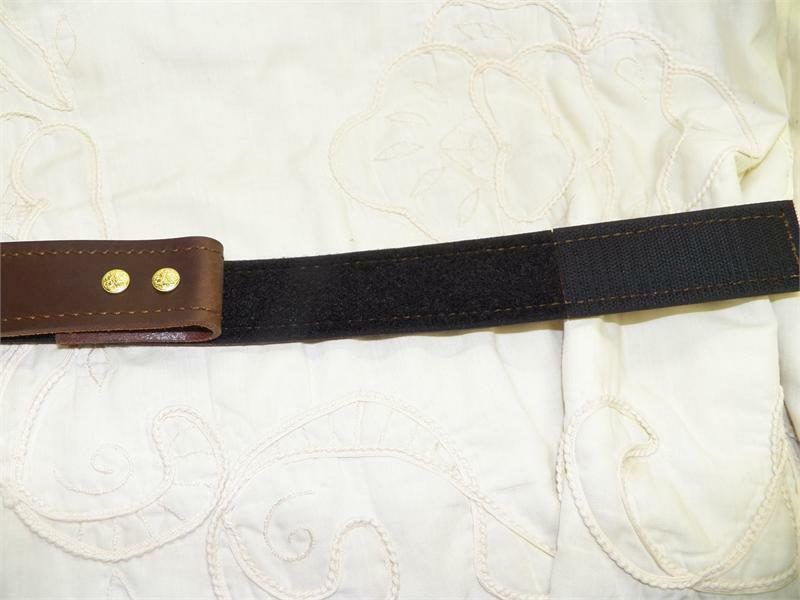 Brown Belt, fits 46 to 51 inches, .38/.357 cal. 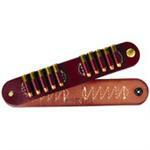 loops, 40 cartridge loops, 2-1/2" belt is cut from premium full grain saddle leather, Border Tooled. Measure at the hips or where you will wear the belt. Fits 43 to 48 inches. See "More Info" for sizing. Western style, quick draw holster made to fit most Colt SSA, Colt clones and Ruger Vaquero revolvers with up to 5 1/2" barrels. This holster works well with our black powser Sheriff models as well.